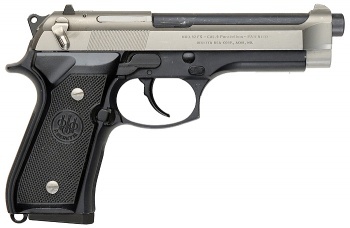 In 1984, the 92SB-F entered the Joint Service Small Arms Program competition to be the standard-issue sidearm for the entire U.S. Armed Forces. 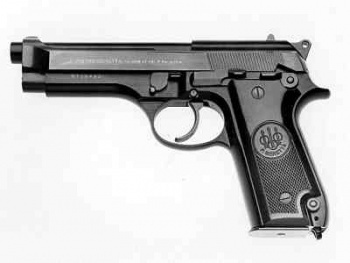 After grueling testing, in April of 1985, the 92SB-F, renamed the M9, won the program and became the new sidearm of the U.S. Military. 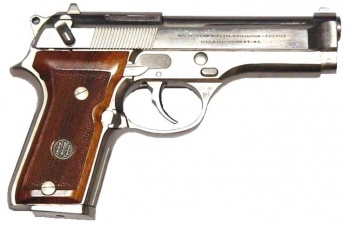 315,930 pistols were ordered for a total value of approximately million. 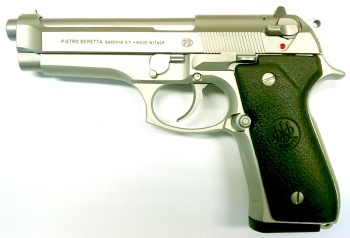 Four out of five branches of the military issue the Beretta M9; all five did until 2006 when the USCG adopted the SIG-Sauer P229 DAK. 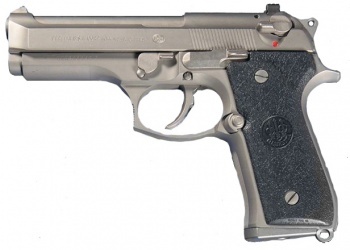 In 2017, the M9 was replaced with the SIG-Sauer P320 as the standard-issue U.S Military sidearm, though the military is still using M9s. 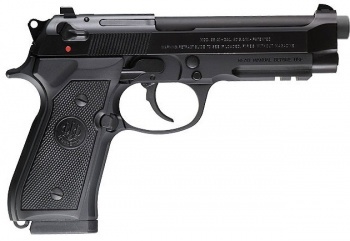 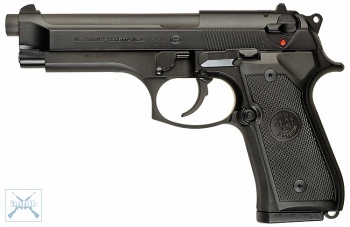 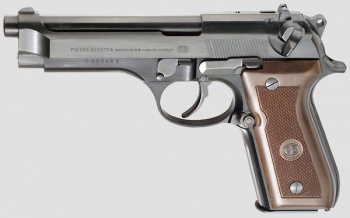 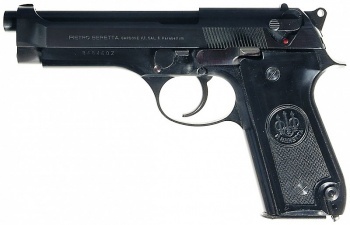 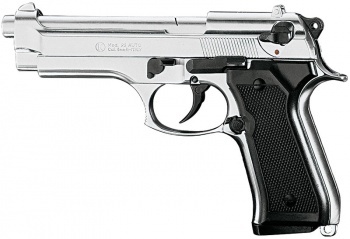 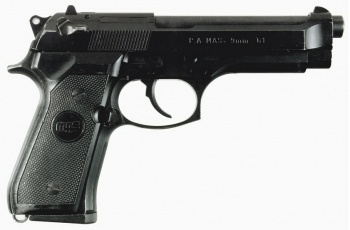 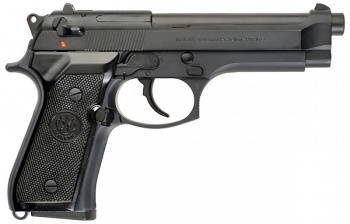 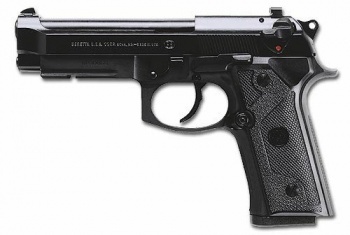 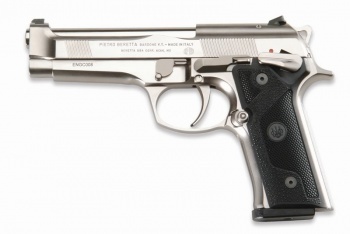 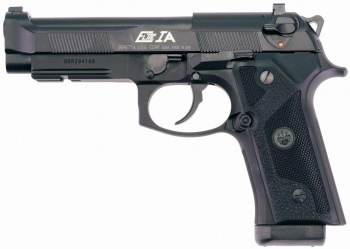 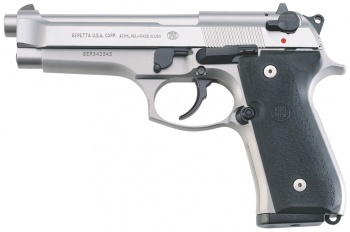 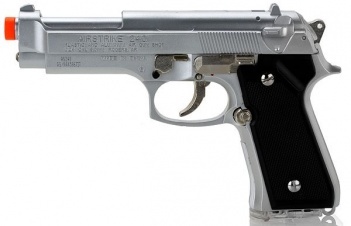 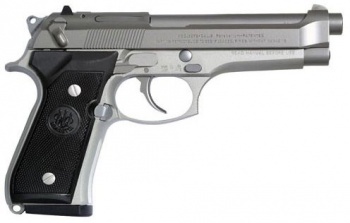 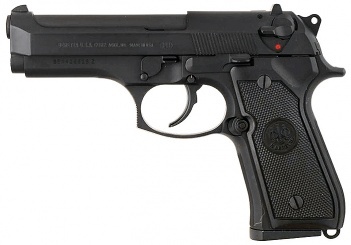 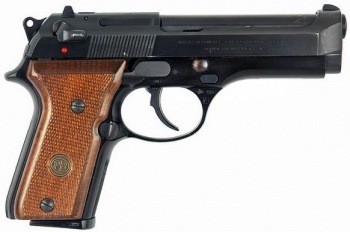 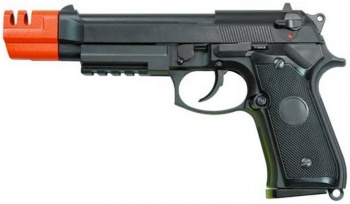 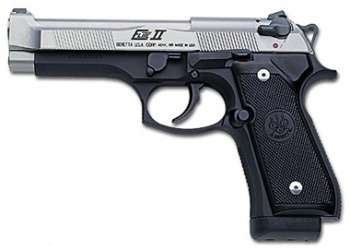 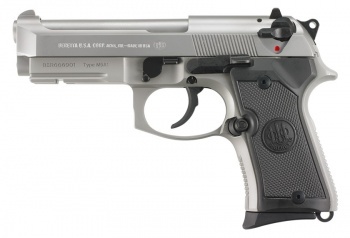 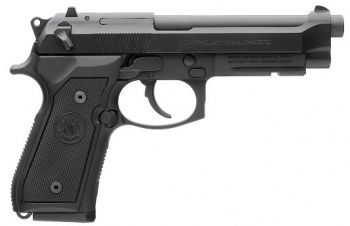 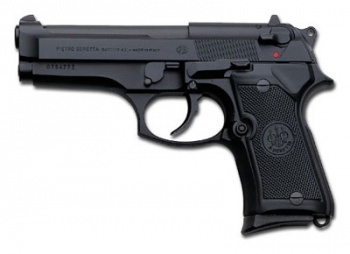 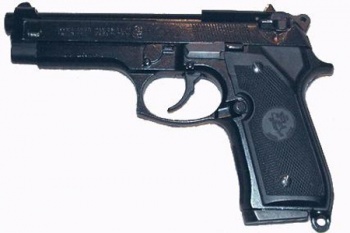 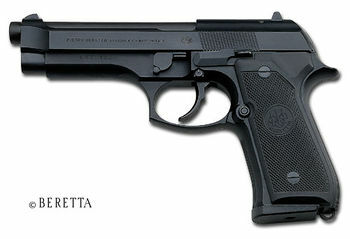 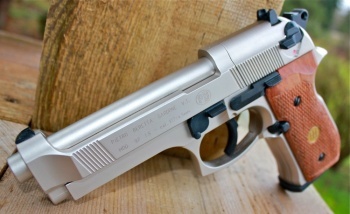 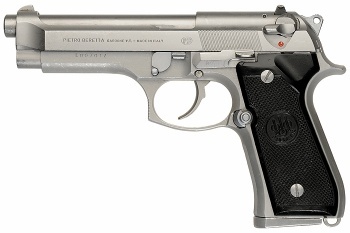 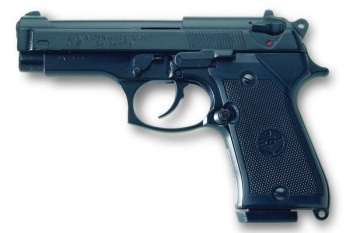 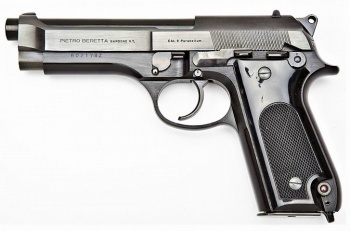 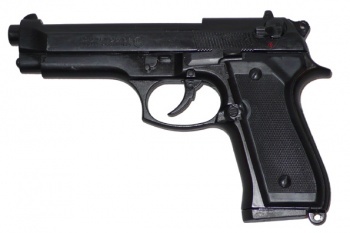 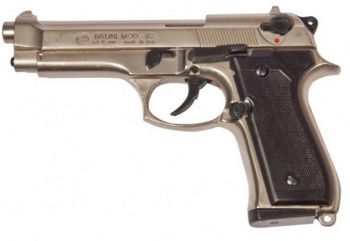 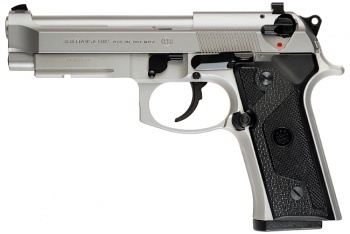 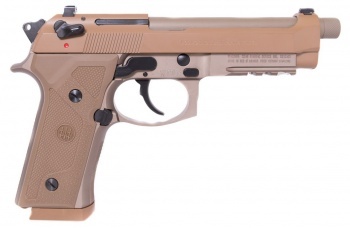 In 1987, the 92SB-F/M9 was renamed simply the 92F and was released on the civilian market. 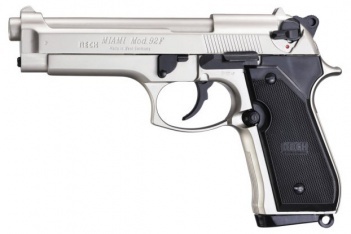 The 92F was very popular, but after slide issues with some of the first batch of military guns (later determined to be the result of bad ammunition), the 92F was replaced with the improved 92FS in 1988, which is still being produced today. 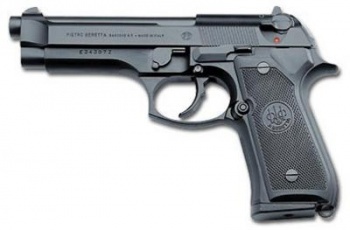 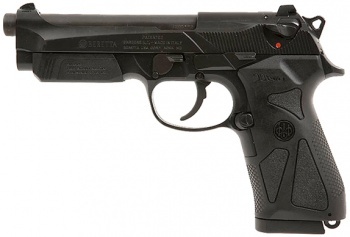 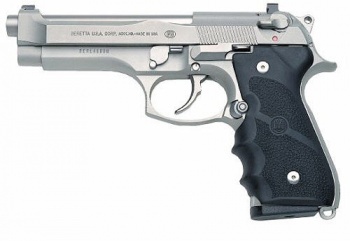 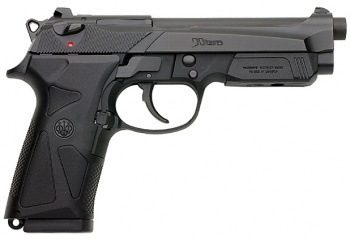 The 92FS is essentially just a slightly modified 92F, with a reinforced slide, a reversible magazine release, a slightly modified backstrap, a slanted dust cover and matte black plastic grips rather than the glossy black ones seen on all previous Beretta 92 models. The 92F also has two-dot "combat" sights as opposed to the 92FS's 3-dot sights. All military M9s feature the two-dot sights.